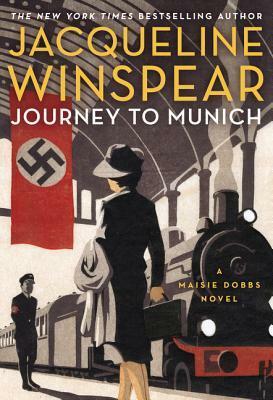 Review: Journey to Munich by Jacqueline Winspear + Giveaway – Escape Reality, Read Fiction! It seems very fitting that I’m reviewing Journey to Munich right after The Murder of Mary Russell. 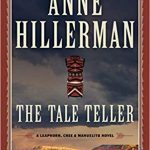 If you take a look at the “Readers Also Enjoyed” sidebar for each book on Goodreads, they are effectively listed as “read-alikes” for each other. And they are. Both feature young women as investigators in the post-World War I era. However, there are a couple of key differences. 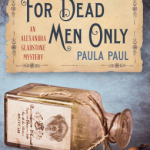 One is that Mary Russell always has her seemingly immortal partner and husband, Sherlock Holmes, at her side. 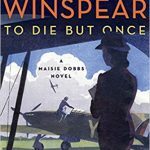 Maisie Dobbs is singularly alone. She lost her first love to a bomb that exploded in the aid station they were working in. While he physically survived, mentally he was gone. In the interstitial period between Leaving Everything Most Loved and A Dangerous Place, Maisie married her second love, and he was killed while flying an experimental plane, causing Maisie to miscarry their only child. 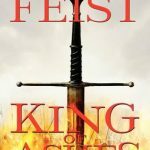 Now Maisie is seemingly without hostages to fortune, which is one of the reasons why the British Secret Service is more than willing to recruit this indomitable and seemingly undauntable young woman. They have a specific job for her. One of Britain’s most inventive engineering minds has been imprisoned by the Nazis at Dachau. Her mission is to pose as his daughter and bring him home. The diplomatic arrangements have already been made, or so everyone thinks. But if things were that simple, the Secret Service wouldn’t need Maisie. And if there weren’t wheels within wheels, Maisie wouldn’t also be tasked with the sidejob of rescuing the woman who should have been piloting Maisie’s husband’s fatal plane from one too many errors of her own selfish making. 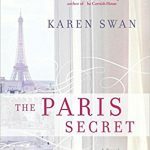 As Maisie dodges well-meaning British officials, secretive American agents, and brutal Nazi officers, she finally discovers something that has eluded her since the death of her husband and child. Now that she is in fear for her life, she comes to the dawning realization that she truly does want to live. Escape Rating A: This is a hard review to write. 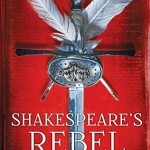 The book is excellent, but the background of this story is frightening – as it should be. 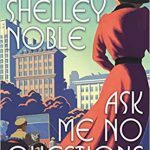 This case takes Maisie to Nazi Germany in the late 1930s, just before World War II breaks into a hot war. Two of the framing events are the Anschluss, when Nazi Germany annexed Austria, and Prime Minister Neville Chamberlain’s infamous “peace for our time” speech. It seems so obvious in retrospect that the peace he thought he had secured was utterly impossible. What is more, at least in this story that was obvious to many people at the time, people who gave warnings that were not heeded. In the context of the story, both the British Secret Service and those agents who would form the OSS, the forerunner of the American C.I.A. were not only aware that war was coming, but were actively preparing for it. As were at least the power brokers in the British Army. As were the industrialists, which in the end provides the motives for many of the events on the British side of this story. At the same time, the background seems to be a human version of the old story about the frog and the pan of boiling water. It is clear that there is an increasingly fearful and oppressive atmosphere in Germany, but most people have managed to adjust most of the time. The water has risen in temperature so slowly that they are able to pretend they haven’t noticed it. Except for the two little girls that Maisie spies playing together in a back alley. If they want to remain friends and play together, they have to hide. One of those little girls is Jewish, and as we know now, will probably be taken to the camps and killed long before the end of the war. It is also clear from the story that the British Secret Service at least knew perfectly well exactly what the already infamous Dachau was, and that more concentration camps were being built. It is also clear that they already knew that Jews were being systematically turned into “nonpersons” in preparation for the atrocities yet to come, and that there were many organizations working to get people out before the worst happened. As it did. 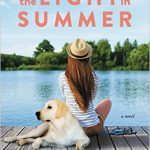 Ironically, in the midst of the death and darkness, Maisie’s story finally turns toward the light. She is able to forgive the family that caused so much of her grief and pain, and as she lives under constant threat of death, she finally realizes that she wants to live, and to have the chance to use her skills and talents for the greater good, and because working makes her feel alive. She has much to do and is finally ready to do it. But seeing Nazi Germany through Maisie’s eyes, watching as a sensitive, intelligent, thinking, feeling person experiences some of the worst of humanity or its utter lack, gave this reader chills. Reviewer’s Note: Considering publication schedules, this book was probably completed a year or so ago. However, for this reader at least, there is a tremendous resonance between the political climate related in this story and the current U.S. presidential campaigns. Your reading may be different, but for this reader, the parallels are difficult to miss. 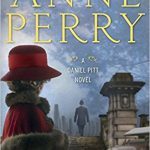 As part of this week’s Blogo-Birthday Celebration, I am giving away the winner’s choice a copy of any book in the Maisie Dobbs series, including today’s review book, Journey to Munich. 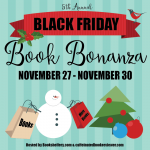 Books will be shipped by The Book Depository, so this giveaway is open to anyone who lives anyplace they ship. 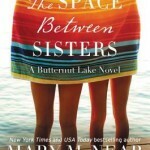 For those in the U.S., if you prefer an ebook, you can choose an ebook copy from either Amazon or B&N. 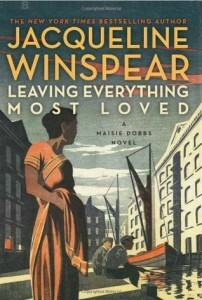 Maisie Dobbs first book is what I’d love to have! I’ve never heard of it before. I loved the first book! She got me completely hooked on the series. Which is awesome. 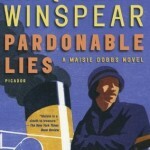 A Dangerous Place is the Maisie Dobbs novel which I would enjoy greatly. This is a wonderful series. thanks for this fascinating feature and giveaway. I’d like Journey to Munich, the most recent! Leaving Everything Most Loved sounds perfect for me. Would love Journey to Munich. I would love A Dangerous Place! 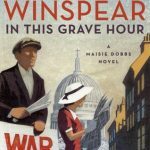 This is such a wonderful series – I love Maisie Dobbs! I would probably pick the first one. I’ve never read any of these books before, so the beginning sounds like a good place to start! 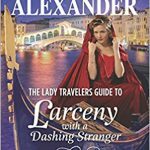 I haven’t read any books in this series, I really enjoy historicals, and haven’t tried enough mysteries, so a combination of both sounds really good to me. 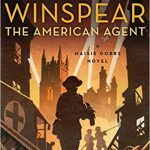 I’d love to start with the first, Maisie Dobbs. I have the first 11 books in the series, so would love to get the Journey to Munich ebook. This sounds like an intense book, and I think your frog in boiling water analogy for the pre-war years in Europe is very apt. Frightening is an excellent word for what was going on in Germany at that time. 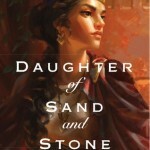 I’m a big Maisie fan and I’m interested to see how she handles this new setting. 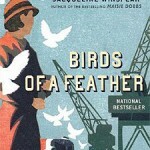 I would choose Maisie Dobbs, book #1 in the series, so I could start from the beginning. 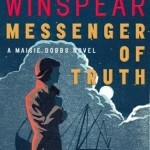 Maisie Dobbs first book is what I’d love to have! This sounds intense! Thanks for a great review and sharing of your thoughts! Happy Blogiversary too! O..forgot to answer the comment question. I’d choose this one based on your review. Thanks! Pingback: Review: What We Find by Robyn Carr + Giveaway – Escape Reality, Read Fiction!